*This interview has been edited and condensed for clarity and concision. NWNY : What is your full name? Taisha : Taisha St. Jean. NWNY : Where is your hometown? Taisha : Buffalo, New York. NWNY : What is your current occupation? Taisha : I am a Public Relations Officer for the Buffalo Common Council. NWNY : Are you registered to vote? Taisha : Yes I am! NWNY : What is your favorite part of being a woman? Taisha : Our strength in everything that we do. We live in an age where women are empowered to be change makers. And as someone who wants to be the first female governor of the State of New York, it’s so encouraging to see all these women making huge moves in all different professions. NWNY : Do you think women are given the same opportunities as men in America? Taisha : We're still striving and we still have a lot more to do. We need to make sure that we're paid equally and we need more bills to protect women's rights. In New York, we're a little behind but hopefully, when I become our next governor, we can do different things to protect maternity leave or making sure that women are getting paid equally. That's still a problem, not only in our country but around the world. NWNY : Do you consider yourself a feminist? Taisha : I consider myself an equalist. I believe that everyone should be equal because I don't want to choose one side. We shouldn't have to. We should all be promoting equality in this country. We're the country that people come to from other places. We have to make sure that these opportunities are for everyone. You should have endless opportunities throughout your life, no matter what gender you are. 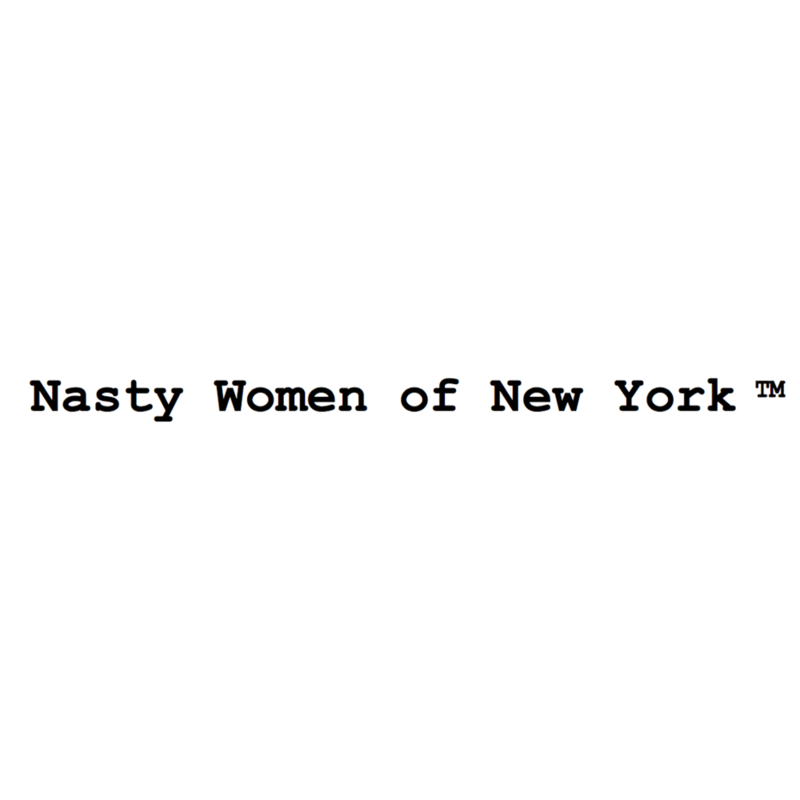 NWNY : What do you think is one of the biggest challenges facing women in our country right now? Taisha : At this moment, equality. A lot of women do want to start a family and often that's used against them. For example, if a woman wants to be a CEO, the company or the board would question whether she could handle it all and balance both. So I think what we need to do is stop those stereotypes, and educate our communities about equality. We have to make sure that everyone is getting treated the right way, no matter if they want a family or not in this country. NWNY : What is your idea or definition of success? Taisha : Success is not only attaining your goals but making sure you're happy and doing something that you love. People think success is, “Look at all of my degrees! Look at all the houses I own!” But does that truly make you happy? And if that's really success, how are you helping someone else be successful? So for me, my goal is not only to make my community a better place to live, learn, do business, and raise a family… it’s also to make sure that I'm passing that baton and helping other people to be successful. That's how I can measure my legacy. NWNY : Are there any news publications you read on a daily basis? And if so, what are they? Taisha : Yes, The Skimm! The Skimm is owned by women, which I love and I listen to their podcast too because sometimes I'm on the go and I want to know what's going on. So I really like to read something that's quick. NWNY : Have you read any books lately? If so, what is the last book you read? Taisha : Michelle Obama’s "Becoming.” It was so powerful. I learned so many things about her that I never expected — how she was raised, and how she was always bullied as a young person. Back then you couldn't say what you wanted to, but she did! Learning Michelle Obama’s story has empowered me. She’s not just the story that you see on TV. She wrote about her true self and what she felt. We wouldn't usually hear something like that from a First Lady. NWNY : You are the current Miss Buffalo. How did you get involved with the Miss America Organization? Taisha : Well, years ago, my brother was a Children's Miracle Network baby and I was a lone sister in the hospital with my parents. The Buffalo Bills and all these people would come by to visit. And that’s where I saw my first Miss Buffalo. And from then on I saw many Miss Buffaloes and I knew I wanted to be like them one day. They always talked to and engaged with me, even though they came to see my brother. That really made a mark on me. So years later I decided to sign up for the pageant, even though I didn't know what I was doing. I just started competing and I found out that there were more local pageants and more phenomenal organizations who were empowering women. I won my first title in 2017 and then I won Miss Buffalo this year in 2019. NWNY : As a Miss America contestant, you are required to have a platform. What is your platform and can you tell us a little bit about it? Taisha : My platform is actually my own non-profit called Endless Opportunities. I equip our youth with the right resources to attend college. As you know, college is free in New York State right now and if they're not prepared for that opportunity, they're going to waste it. So I go through the Buffalo Public Schools, at this moment, and make sure that all the students have the resources they need by teaching workshops and seminars, and making sure there are printable resources for them. If they have any questions, we follow up with one-on-one mentoring. Sometimes that means Skype calls or even meet for coffee. It is really important for us to prepare our youth. They are 13% of our population, but 100% of our future. NWNY : You've been involved with the Miss America Organization for a couple of years now. Has the organization changed since you first started competing? Taisha : It has! It has evolved with the world. Back in the day you just didn’t see this much diversity in the Miss America Organization. And all these women are so strong, and fighting for something they believe in with or without a crown. And that's what I think the change is. You used to only see somebody get involved when it had to do with a crown. But now you see these young ladies following through and going after their passions, even with their careers. For me, that is the most important part of Miss America Organization. Yes, there is stage and one person wins the ultimate crown. But what happens to the other women on that stage? What happens to their network? We’re seeing a strong sisterhood with these women. Women who are building their networking skills, and their interview skills are phenomenal. The women of the Miss America Organization are truly making an impact in their communities. NWNY : What are your thoughts on the new Miss America 2.0? Taisha : I like it. As someone who wrote a marketing book regarding Miss America, I knew this was happening. I always like to say, “I predicted it first!” I think Miss America 2.0 gives more young ladies the opportunity to understand this is a scholarship organization. If you would ask an individual walking down the streets of New York City, “Hey what is Miss America?” They might say, “Oh, it’s a swimsuit competition.” Or, “It’s owned by Donald Trump.” They don't understand that Miss America is not Miss USA, it's a whole different organization. They probably don't know about the true mission of Miss America. And you know, I think part of Miss America 2.0 is to educate. That's why we're removing swimsuit, and why we're focusing more on interview. It’s important to understand the social impact these women are making. But I think also we need to do a better job promoting our local title holders because those are the people who are going to really educate our community the most. Yes, Miss America travels all over the country, but the local individuals are the ones visiting schools, and going to community events. If they can educate their community about the true mission of our organization, that's when we're heading in the right direction. NWNY : Why do you want to be Miss New York? Taisha : I've always wanted to be Miss New York. First of all, I want to make history being the first Afro Latina Miss New York. And I want to make sure that we're making an impact in our state. We're educating, and we're increasing our numbers of enrollment. We have a lot of scholarship money out in this community, but we're not getting it to these young ladies who truly need the help. And that's where my platform comes into play. So my job as Miss New York is to make an impact, but also to make sure that I can provide layers for future years, for the next Miss New York, and for the next Miss America. NWNY : There are some people who think pageants, especially the Miss America Organization, are outdated and they objectify women. How would you defend the organization to its critics? Taisha : I work with a lot of council members and because of me, they are now big fans of Miss America and understand what it takes. I always say, “Sit in a room with a girl who competes in Miss America and ask her questions. Just random questions. Anything that you can think of.” They did it with me and now they know. They’re like, “You're answering questions better than the President!” So this is all about empowering women, for us to become great public speakers, to make an impact in our communities. So that’s what you have to do, is put the critics in a situation to watch or hear a young lady speak from the Miss America Organization. You have to look beyond the pretty crown. NWNY : What is one of the biggest lessons you've learned while competing in the Miss America Organization and what have you learned about yourself? Taisha : You can't control everything that's going to happen, I learned that the hard way this past season. You have to learn to just roll with the punches and just keep going. I lost one of my wings during my talent, and I was like, “Well, I can't stop in the middle of the dance I've got to keep smiling!” So, you just keep rolling. Talent is 50% of our score now! You have to have the ability to keep going. Let's be honest, things happen! Professional dancers even slip sometimes, what are you going to do? You have to continue dancing. So I think that's what the most valuable lesson I've learned throughout this organization that, you can't over prepare because you never know the situation. NWNY : What is your greatest strength? Taisha : My speaking skills. I'm very organized and I've always liked to talk. That's why I went into public relations. I went to school and I graduated very early, and I got my Masters by age 22. Because of my future ambitions, I wanted to make sure that I was able to speak in front of a crowd. And I’m making sure that whatever I'm saying, I'm turning into actions. NWNY : Who is the most inspiring person in your life and why? Taisha : I have a lot of them, but I would have to say Judge Betty Calvo-Torres. She was the first female and Hispanic judge in the City of Buffalo. I was lucky enough to be a part of her leadership program when I was younger. I learned at a young age that I had a voice because I was around so many phenomenal, empowered women. It’s something that I continuously teach our young ladies through different organizations that I work and partner with. For me, it was more than just having that one role model, but Judge Betty Calvo-Torres taught me something that I can continue to teach others. NWNY : If you could host a dinner party and invite anyone in the world, living or deceased, who would you invite? Taisha : I have a couple. First is Gina Rodriguez, because I love what she's doing right now for equality. She is making sure young ladies are voting in our Latino community. Voting is not really set in the household and she's trying to break that barrier, and I love that about her. I would also invite Emma Watson because I love what she's doing for equality. And then also I would bring Rosa Parks so we can all just have a really good conversation about what we can do to make our country better. Let's talk to our legislators and make some actionable items happen. Because if we don't, then we're not doing anything but talking. NWNY : Last question. What is your dream job? Taisha : I'm going to be the Governor of New York State. I love Andrew Cuomo, I have to say that because we have a really good relationship, but he doesn't pay attention to every place in New York State. That's something that I want to change. Yes, he wrote a Bill for Women's Rights in 2015 but I want more follow up with more. I understand that having the job of Governor of New York, you're not always going to make everyone happy. That's just realistic. But I think that we need more change. I’ve been working in government since I was 12 years old. So by the time that I’m ready to run, I'll be very prepared. I think we need to make sure that we're doing everything for all parts of New York State. He has done a good job, but I know as a woman I can do it better.